Heat oven to 325°F. 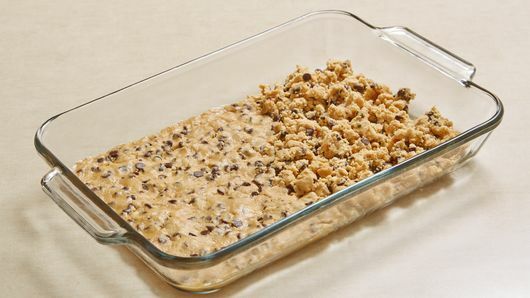 Grease or spray 13x9-inch (3-quart) pan or baking dish. Press dough evenly in bottom. Bake 12 minutes. Meanwhile, in large bowl, beat cream cheese and sugar with electric mixer on medium speed until fluffy. Add eggs, one at a time, beating and scraping between additions. 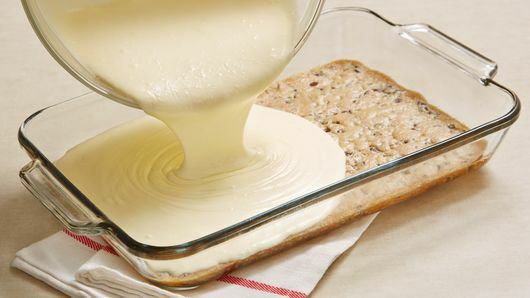 Add heavy cream and yogurt; beat until just combined. Pour over cookie dough. Bake 40 to 45 minutes or until set around edges and only slightly jiggly in center when shaken. Turn oven off; open oven door 4 inches. 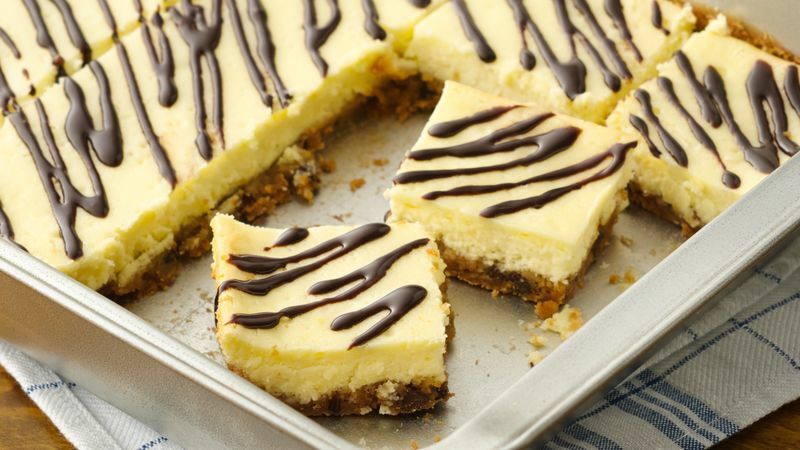 Leave cheesecake in oven 20 minutes longer. Remove from oven; cool at room temperature 20 minutes. 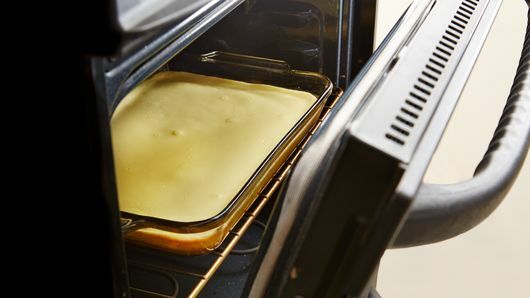 Refrigerate 1 to 2 hours or until completely cooled. Drizzle with chocolate syrup. Cut into 5 by 4 rows. Cover and refrigerate leftovers. Want to dress up your bars for the dessert table? Serve with little bowls of cherries, whipped cream, caramel sauce and whatever other sweets you fancy! Don't get lazy! Scraping between additions of eggs really does help the mixture combine evenly for a smoother, more delicious finished product.